After a few days of intense physical activity, we picked an easier hike to finish the Holiday weekend. We had hiked Noonmark last winter, and remembered the hike to be sometimes steep, but short enough not to be too challenging for kids. 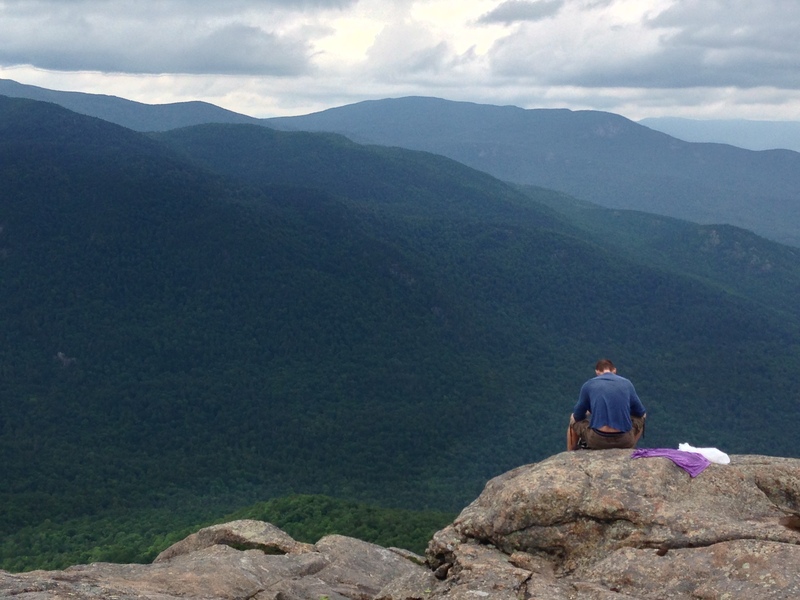 Noonmark Mountain is a 3,556-foot mountain near St. Huberts in the High Peaks. 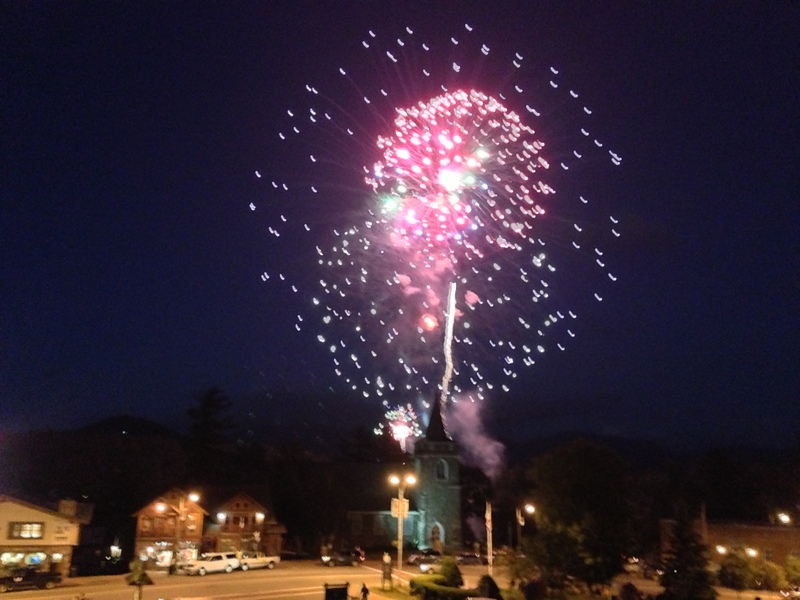 This prominent peak provides 360-degree views, including the Great Range, the Dix Range, Giant Mountain, the Ausable River valley, and the village of Keene. Soon enough we were making our way over the 2.1 miles to the summit. As with most short hikes to the top of any mountain, the hiking was steep and sustained at times. But there were several ledges along the way that provided nice resting, and photo, opportunities. It was a great day, with little to no wind, warm enough, so we spent time relaxing on the summit. It was only the thought of beer and a great dinner that motivated us to start the hike down. Sitting on the Crowne Plaza lawns, waiting for the fireworks to begin, I was thinking: Is there a better way to celebrate our national Holiday? From the views of Mirror Lake, the music from the speakers, kids playing around, everything was perfect. Even the weather gave us a break, after the record-breaking rainy days of late June! When you stop at the Olympic Jumping Complex, you see up close the ramp that ski jumpers launch from before flying over the length of a football field. 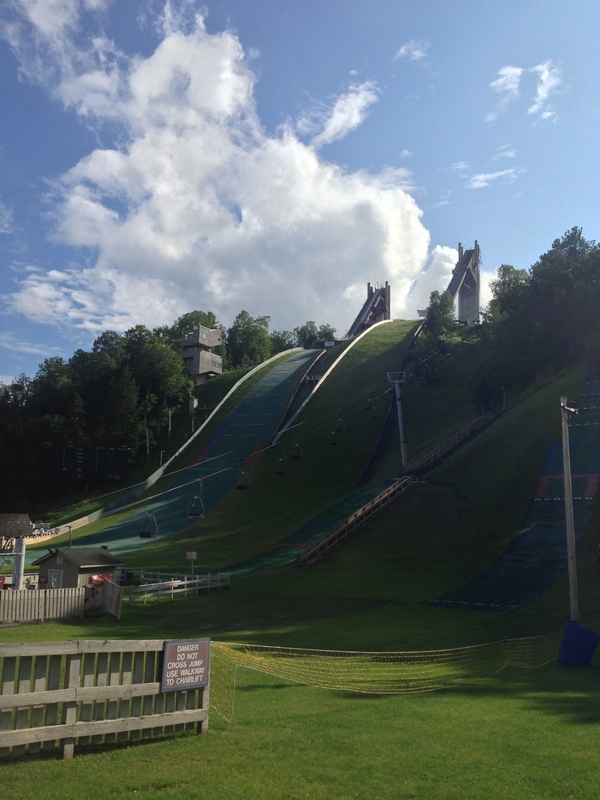 With the help of some pretty clever technology, ski jumpers take flight throughout the summer, speeding down jumps surfaced for the season in half-cut porcelain marbles and plastic shingles and slicked by a coat of water. The visit to the jumping complex includes access to the freestyle training facilities, too, getting you up close to some of the most daring athletes around. One skier after the next will speed down the hill, rocket up the ramp and pull off a flurry of twists, flips and spins directly in front of you, before landing in a pool. Big Crow Mountain is a 2,812 ft / 857 m mountain peak, near Keene. With Little Crow, its smaller sister, they dominate the landscape at the top of East Hill, and are the favorites of local hikers. I didn’t count, but we had fun pointing out and naming many of the peaks. The views wrap around from Hurricane and Giant in the East to the Dix Range, Great Range and Marcy to the south, Big Slide, Cascade and Porter and eventually Whiteface to the north. Last weekend, on our way to our weekend hike, we crossed the path of a turtle. 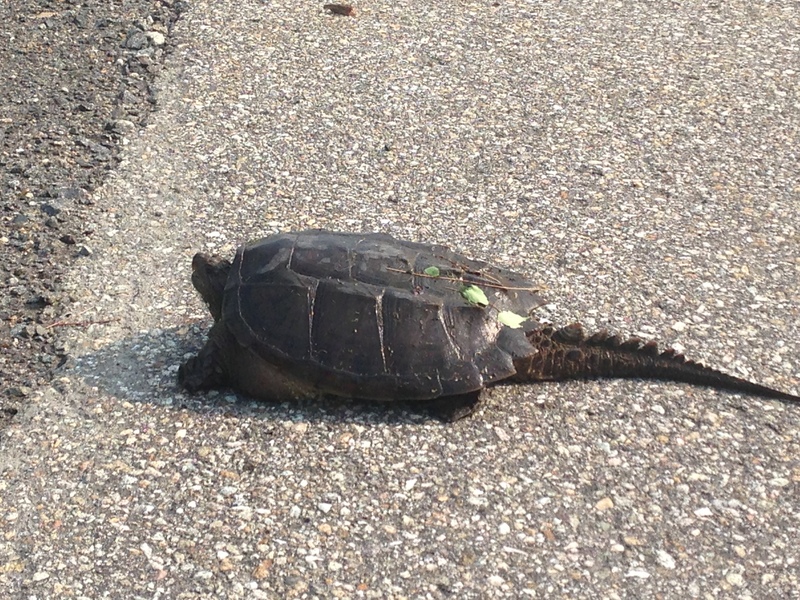 As the summer is still struggling to find his way up here, the turtles were busy laying eggs. As usual, the most impressive of the species were the snappers. Whoever claims turtles are slow creatures likely never tried to get a good photo of one. Turtles can move faster than a dollar sign at the gas pump, when they want to. Snappers are distinctly prehistoric-looking creatures. They are all about body armor, and threats. Their snap is fearsome, and they use it to lop off the head of other creatures. Because of their small plastron, snappers are very vulnerable to prey. They are solitary creatures who communicate with mates by using leg signals. They can weigh up to 35 pounds, and they come with an attitude. Be careful when meeting one. They are wonderful creatures to protect.